Lee Fah Trading Co. was established and commenced business in the same year. Lee Fah Trading Co. began production of dried noodles. Lee Fah Foodstuffs Co. was established and took over the entire noodle manufacturing plant of Lee Fah Trading Co.
Lee Fah Foodstuffs Co. began production of instant noodles. Tatien Food Industries Sdn Bhd was established. Lee Fah Mee Sdn Bhd was established. Lee Fah Mee Sdn Bhd took over the entire operation of Lee Fah Foodstuffs Co.
Lee Fah Mee Sdn Bhd was awarded SIRIM certification for quality noodle products. Tatien Food Industries Sdn Bhd began production of egg-roll biscuits.Lee Fah Mee Sdn Bhd acquired an additional set of ‘Tokyo Menki’ instant noodle production line. Lee Fah Mee (Sabah) Sdn Bhd was established. Lee Fah Mee (Sabah) Sdn Bhd commenced operation in Sabah. Lee Fah Mee (Sabah) Sdn Bhd acquired an industrial site at Jalan Tuaran, Kota Kinabalu. Fah Mee Sdn Bhd was awarded Grand Prix for Commercial Quality Europe 88. The main office was moved to the new premises at Jalan Semaba, Kuching. Tatien Food Industries Sdn Bhd acquired a new industrial site adjacent to the existing factory. Completion of Tatien Food Industries Sdn Bhd ’s new factory building. Lee Fah Mee Group received finalist certificate of the Sarawak Chief Minister’s Award for Excellence in Management. Tatien Food Industries Sdn Bhd accepted to be an International Member of the Snack Food Association, U .S. A.
Lee Fah Mee (Sabah) Sdn Bhd changed the name to Lee Fah Mee Trading Sdn Bhd. Lee Fah Mee Sdn Bhd acquired holding interest in The Sarawak Steamship Co. Bhd. (formed in 1875). Both Lee Fah Mee Sdn Bhd and Tatien Food Industries Sdn Bhd awarded the HALAL certification by the Islamic Affairs Division of the Prime Minister’s Department (JAKIM). A corporate restructure exercise to enable Lee Fah Mee Sdn Bhd, Tatien Food Industries Sdn Bhd, Lee Fah Mee Trading Sdn Bhd, and The Sarawak Steamship Co. Bhd. to become wholly owned subsidiaries of Le Fame Group Sdn. Bhd. Lee Fah Mee Sdn Bhd installed additional production line for instant noodles. Food Industries Sdn Bhd installed additional production line for Snack Foods. Fah Mee Sdn Bhd installed additional production line for ‘Ice Pop’. Food Industries Sdn Bhd acquired an industrial site at Demak Laut Industrial Park, Kuching. Formation of Le Fame Food Industries Sdn Bhd and acquired an industrial site at Kota Kinabalu Industrial Park. Lee Fah Mee Sdn Bhd obtained Hazard Analysis and Critical Control Points (HACCP) certification awarded by Moody International. Tatien Food Industries Sdn Bhd constructed an industrial building at Demak Laut Industrial Park, Kuching. Le Fame Food Industries Sdn Bhd constructed an industrial building at Kota Kinabalu Industrial Park. 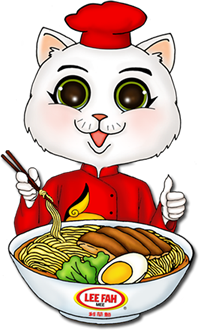 Lee Fah Mee Sdn Bhd became a founder member of World Instant Noodles Association (WINA) based in Tokyo, Japan. Lee Fah Mee Sdn Bhd obtained ISO 9001 certification awarded by Moody International. Le Fame Properties Sdn Bhd commenced construction of 3 storey commercial building at 7th mile, Kuching. Lee Fah Mee brand of Lee Fah Mee Sdn Bhd was awarded Power Brand 2011 by Asia Entrepreneur Alliance, a non-profit organisation. The award was presented by YB Dato’ Sri Peter Chin, Minister of Energy, Green Technology and Water Malaysia at the Palace of the Golden Horses, Kuala Lumpur. MESTI food safety certificates were awarded to Lee Fah Mee Sdn Bhd and Tatien Food Industries Sdn Bhd by the Ministry of Health Malaysia. The Sarawak Steamship Co Bhd was awarded 100 years of Excellence Award. The award was presented by YAB Dato’ Sri Mohd Nazib Tun Abdul Rajak, the Prime Minister of Malaysia in Kuala Lumpur. Lee Fah Mee Sdn Bhd acquired a 9 acre industrial land at Samarahan Industrial Park Kuching. The Borneo House Museum Sdn Bhd was established.